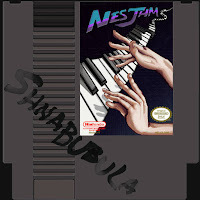 What's a master piano player and some NES classic tracks make mixed together? Solid gold tracks. This album is pay what you want over on bandcamp. This is one of the rare ones fellas. Go snag one. Leave a buck or two in the hat if you can muster it. Enjoy! Great track. I downloaded the album!